Skiing, snowboarding, and other winter sports bring their share of fun and tragedy. Every year people die in skiing accidents. Hitting Trees account for a few deaths every year at ski resorts like Heavenly Lake Tahoe or Diamond Peak at Ski Incline. Usually these cases do not become viable claims because skiing is a risk taking sport. 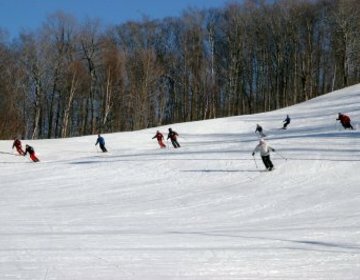 There are circumstances where the ski resort may be liable for the accident. In years of low snowfall, objects, rocks, and tree stumps may not be fully snow covered. Consequently, these hazards are not known about. Ski areas have a duty to mark and warn skiers of known hazards. Rental equipment from skis, bindings, boots and other technical equipment can be problematic for skiers and be the cause for injury. If you believe a technician made an error when renting your equipment. e.g. failure to properly tension a binding, or made an improper recommendation call Benson & Bingham today. With the huge increase in Snowboarding, Ski areas have changed much of the marketing focus towards younger more aggressive clientele. Before, it was rare that ski areas would ever build ski jumps, ramps, or half pipes to facilitate risk taking. Now it is standard to have full pipes, half pipes, and jumps for boarders to get air. If you feel the resort has some liability for your injury contact Benson & Bingham. Avalanches are another concern for outdoor enthusiasts. Normally, this Act of God is not a covered accident; however, with modern technology these events can be prevented. A teenage skier was killed in 2005 at the Las Vegas Ski & Snowboard resort at Mt. Charleston just outside Las Vegas due to an alleged preventable accident. When mountains receive high amounts of snowfall avalanches are a concern. Snowmobile accidents are also a killer. Snowmobiles have become faster and faster leading to serious personal injuries. Inexperienced drivers and young people die every year due to these machines. Call Benson & Bingham at 702 382-9797 if you were a passenger and sustained serious injury on a snowmobile.